First Impression: Surprise! These colorfully dressed ninjas are crashing your cardio party. Second Impression: Roll a 20-sider for initiative. The pint-sized host informs us how important it is to do a proper warmup and then… doesn’t do a warmup. We plunge right into the punching, kicking, jumping, wiggling hot mess that is this workout. It wants to be Tae-Bo without all the seriousness. It wants to be a discotheque, but no one’s giving out their number. It wants to be your favorite class at the gym where all your friends hang out, but everyone there is so annoying that you want to skip it. 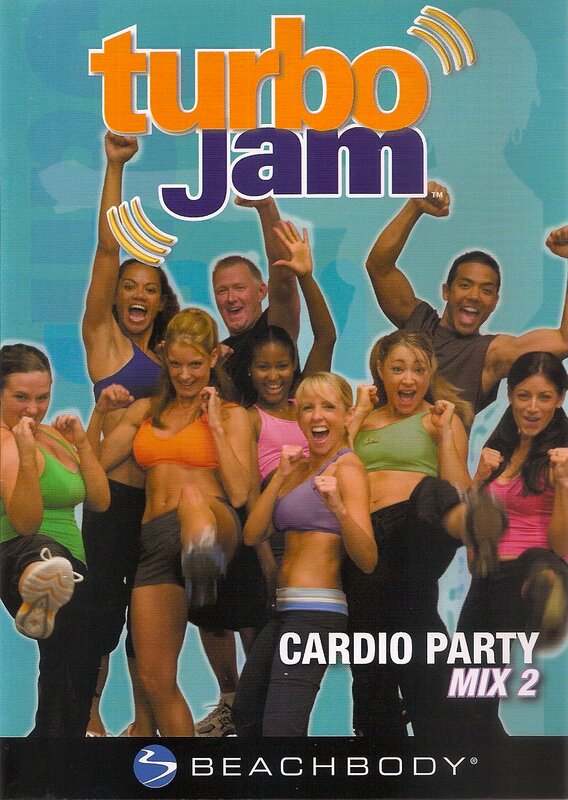 The instructor refers many times to how great the music is, and how much she loves this song, and how working out to your favorite music is the “funnest” way to exercise. No offense, lady, but it all sounds like loud, pounding “boots and pants and boots and pants” music to me. And this is the moment when I succumb to age. Hey you kids, get off my lawn! The bonus track is a short film suitable for screening at the Theater of Cruelty. The host and the rest of the talent all conspire to play a prank on the director, Andrea Ambandos, who incidentally produces many of the fitness videos on the market. Andrea tells everyone they have time for a quick five, when the camera operator keels over and collapses onto the floor, apparently overcome with Ebola, Zika, Mad Cow, or whatever is the most feared disease du jour. Andrea approaches him with great concern, asking if he needs to go to the hospital. She administers first aid and shoos away the behind-the-scenes crew. No one needs to be filmed while they are lying, helpless, on the floor of a sound stage. Oh, they are so clever and funny. They sure got her! I’ll bet the director feels awfully silly for caring about the well being of her crew. She will never make that mistake again. This entry was posted in Reviews and tagged "even louder music" option, 45 minutes, calisthenics, cardio, countdown clock, split clock, uncomfortable banter. Bookmark the permalink.